Over several decades, Readex has published many of the most widely used collections of primary source research materials in academic libraries, first as Readex Microprint Corporation and since 1984 as a division of NewsBank, Inc. Academic librarians and scholars recognize Readex for its efforts to transform research in the humanities and social sciences and to dramatically reshape the study and teaching of centuries of American history, literature, culture and daily life. UCF has the opportunity to purchase four major primary source databases from Readex at an outstanding price as part of the 2014 Technology Fee process. This offer is contingent upon on a successful technology fee proposal and the purchase of all four databases as a package. The databases included in this offer include. Over the past few years, with a combination of library and technology fee funding, the UCF Libraries has taken major steps forward in acquiring highly recommended primary source databases that are in demand at top research institutions. Thorough product descriptions for each of the proposed databases are included here. The Pamphlets collection contains more than 25,000 rare pamphlets from every region of the United States and dating from 1820 to 1922 (chronologically complementing the Evans collection (1639-1800) that UCF already owns, and the Shaw-Shoemaker collection (1801-1819) which is being requested through a separate proposal via the English Department). The particular appeal of pamphlets as a print genre is due to the fact that unlike books, which were expensive to publish, pamphlets were cheaply produced and were therefore the only means of communication available to working class or disenfranchised Americans. As the products of this wide cross-section of America’s population, pamphlets are of particular interest to scholars studying race, ethnicity and gender in the 19th and early 20th centuries. And as they span one hundred years of American life–from the Jacksonian Era through the dawn of the Jazz Age — researchers will find documents covering a wide range of fields, including politics and government, religion and religious movements, art and entertainment, business and economics, health and medicine, education, immigrants, American Indians, slavery and the Civil War, African Americans, Hispanic Americans, women, and science and technology. The Slavery collection contains more than 3,500 rare books, maps, and ephemera published between 1820 and 1922 and covering every aspect of slavery. It was selected to complement the Evans collection that UCF currently owns, and the Shaw-Shoemaker collection that forms part of this grant proposal. Coverage of the Slavery collection spans the Missouri Compromise and the founding of Liberia as a colony for blacks fleeing America; the rise and suppression of abolitionist activities; the first National Anti-Slavery Society Convention in 1837 and the Compromise of 1850; the Emancipation Proclamation and the establishment of “Redeemer” state governments; the birth of “Jim Crow” and the expansion of segregation through the early 1920s. Subjects covered include religion, freedmen, suffrage, insurrections, the slave trade and many others. Genres range from personal narratives to children’s literature to black authors, including Denmark Vesey, Olaudah Equiano, W.E.B. Du Bois, Charles Ball, and dozens more. The Civil War collection contains more than 13,500 items dating from 1860 to 1922, and it is one of the largest existing collections of items about the American Civil War. Coverage extends throughout the Civil War and into the critical postwar period, a time in which modern interpretations of the conflict began to take shape. In addition to books, the collection also contains pamphlets, lithographs, photographs, political cartoons and other ephemera that include speeches, poems, songs, and maps. A collection of this scope will provide UCF scholars with a diverse and far reaching set of content that can yield fresh research on many topical areas. Some of the topical areas included are: finance, foreign relations, prisoners and prisons, medical care, personal narratives, the Soldiers’ Aid Society, medical manuals for the battlefield, military strategy, regimental data for both armies, and much more. The Broadsides collection contains approximately 30,000 rare early American documents: 15,000 broadsides printed between 1820 and 1900 and 15,000 pieces of ephemera printed between 1749 and 1900. Digitized in high definition color, these often highly graphic imprints vividly capture the daily lives of earlier Americans in a way that no other material can. Due to the visual nature of this material, the Broadsides collection will appeal to visually-oriented students and is ideal for both classroom and online teaching purposes. While books were written and read largely by professionals, merchants, and others in the upper class, broadsides appealed to all, including the middle and lower classes. Broadsides were inexpensive to produce and to purchase, and many were distributed freely. The nearly 15,000 broadsides in this digital edition cover remarkably diverse subjects, ranging from contemporary accounts of the Civil War, unusual occurrences and natural disasters to official government proclamations, tax bills and town meeting reports. The Broadsides collection also contains autobiographies and dying confessions of convicted criminals, theater playbills, sheet almanacs, publishers’ prospectuses, advertisements, newspaper carriers’ addresses and popular songs and poems. Other items describe controversies, reform movements, political parties and a wide variety of local and national organizations and societies. Additionally, extensive cataloging by the American Antiquarian Society provides information on the author, title, subject, genre, bibliographic reference number, provenance data, illustration technique, printer, illustrator, and date and place of publication. With this data, and the graphic nature of many of the items in the collection, it will support additional research and teaching– beyond the history and literature departments and into the visual arts department at UCF. Territory of Florida. City of St. Augustine. On the twenty-ninth day of May, one thousand eight hundred and twenty-three, personally came before me, Waters Smith, mayor of the city of St. Augustine, Eusebius Gomez, who being duly sworn, doth depose and say, that … Alexander Hamilton, in a conversation with this deponent, remarked … that as he was one of the board of land commissioners, it was the interest of the inhabitants of the town to vote for him as delegate. The Alabama cottage. A homely scene. The UCF Libraries is requesting $84,597 ($89,597 less a $5,000 cost share from the UCF Libraries) to purchase four Readex Primary Source Databases from Readex, a Division of NewsBank, Inc. These Readex Primary Source Databases are delivered online and available 24 x 7. The collections will be accessible to all students on campus or off campus through Shibboleth authentication. One hundred percent of UCF students and faculty could have simultaneous access to these outstanding resources. There is no limit to the number of users who can access the content at a given time. The content within each of these databases will be easy to discover through OneSearch, the online discovery service, or librarian-created LibGuides. Patrons will also discover this content through subject databases, and internet search sites such as Google and Google Scholar. The content is in PDF format and is easily printed, e-mailed, or downloaded to read on a cell phone, laptop, or any computer. Here are some details regarding the subject coverage of the selected databases and some specific courses at UCF that may benefit from the content. The UCF Libraries is including comments from the publishers and interested UCF faculty. The comments speak to the quality and importance of these collections and how each will make valuable contributions to teaching and learning on the UCF campus. Several UCF faculty support this proposal and some of their comments are included below. 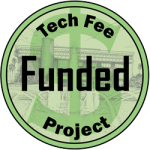 As chair of the History Department, I enthusiastically endorse the UCF Libraries’ Technological Fee proposal for purchasing primary source material from Readex. This material will be incredibly useful to both undergraduate and graduate students in History. The American Slavery database focusing on an issue (race and slavery) that continues to permeate both historical and contemporary debates. By bringing students in a wide variety of disciplines (from History to English to philosophy to anthropology and beyond) into contact with these documents, we will create not only a greater understanding of slavery as an institution but also a greater understanding of the lives of enslaved peoples. Additionally, the collection highlights the importance of the opposition to slavery in 19th century America. In addition to the slavery database, the other collections are also valuable especially the American Civil War collection. It emphasizes the most important event in American History. As we celebrate the sesquicentennial of the war, there is renewed interest in this conflict. Classes looking at United States culture, politics, economics, society, and, of course, military aspects will all benefit from this collection. The Broadsides and Pamphlets collections will further add to our understanding of not just United States history but World History as well. When combined, the four databases have something to offer to students in just about every major at UCF. The primary sources from these collections an unavailable elsewhere, and they will do a great deal to help UCF students compete with students at either institutions who have a greater access to historical primary sources. As we increasingly emphasize the research nature of our university, having access to collections like these will be imperative. As the subject librarian for Communication, History, Film, Judaic Studies, Music, and Philosophy, I find that as I assist both undergraduate and graduate students in these and other disciplines, the students increasingly need primary sources – a document or physical object which was written or created during the time under study, such as diaries, speeches, manuscripts, letters, interviews, news film footage, autobiographies, and government records. The UCF Libraries have made great strides over the past several years in purchasing large electronic repositories of primary source materials: Early English Books Online, Early American Imprints I, Eighteenth Century Collections Online, and the Nineteenth Century Collections Online. With the purchase of the Readex package which includes American Broadsides and Ephemera: 1749-1900, American Civil War: 1860-1922, American Slavery: 1820-1922, and American Pamplets: 1820-1920, the Libraries can further enable UCF students to venture into real special collections with a much greater comprehension and appreciation of the primary sources they need for their research. All of the material in this package has been digitized in the original format from the collections of the American Antiquarian Society and the New York Historical Society, two of the best-known national research libraries of pre-twentieth century American history and culture. For example, in the American Broadsides and Ephemera collection are autobiographies and confessions of convicted criminals, theatre playbills, sheet almanacs, patriotic and popular songs and poems, and items pertaining to political party organizations and controversies. Similarly, the American Civil War collection provides regimental histories, troop rosters, military trials, sermons and speeches covering many of the intellectual and ideological positions of the time, and personal narratives on battles, military life, and prisoner-of-war camps. This entire collection – containing as it does books, pamphlets, treatises, posters, postcards, sheet music, and the like covering not only history but also the social sciences, philosophy and religion, and literature – is an invaluable resource that will benefit our students in not only the humanities but also the social sciences and the sciences. These sources should be of great value to our students conducting research and scholarship in both classroom environments and co-curricular experiences. Undergraduate majors working in the areas of history, English, philosophy, political science, sociology, etc., — as well as graduate students in these and other disciplines – will benefit from these rich research sources. If the UCF libraries had access to these nineteenth-century digitized collections it would open up an entire new world to my students; one in which they could research cutting-edge American history issues. The benefit to history students is obvious, they would have access to primary sources that would allow them to complete advanced research-projects. This availability is essential to produce scholarship that might be presented at academic conferences. For UCF history students to compete for graduate fellowships, these types of opportunities are essential. Moreover, these digitized sources would not only be valuable to history students who want to enroll in graduate studies, but they would also be useful to students who want the type of skills employers demand. Employers have been clear in their feedback to UCF, they value critical thinking skills, primary sources are central to teaching these types of abilities. Finally, these sources focus on the Civil War era broadly defined and that means that they will be of great interest to UCF students in many disciplines. I can assure you that students are fascinated by the Civil War era and would make good use of these collections. Thank you for considering this proposal. The UCF Libraries will promote the awareness and use of these Readex Primary Source Databases through a variety of channels. The Library will actively collaborate with Dr. Melody Bowden at the Faculty Center for Teaching and Learning to publicize the collections. The focus will be on educating faculty about the importance of these resources and how they can be used for course assignments. The Libraries will distribute informational brochures during various events, such as the faculty development conferences, and will feature information about the collections in newsletters, library blogs, exhibits and special events such as Cram for Exam. Librarians will educate students on the quality, breadth and depth of these collections during Information Literacy sessions. The UCF Libraries will measure the success of these four Readex databases through usage reports and satisfaction surveys. COUNTER reports (an industry standard format for online usage statistics) track which titles are used and the number of articles downloaded. The requested funds ($84,597), in combination with the $5,000 cost share from UCF Libraries, will cover the one-time cost of the four selected databases. There is an annual access fee that is standard for digital collections of this quality. The fee of $2,041 will be covered from the existing library materials budget. The Readex Primary Source Databases will be purchased for a one-time fee of $89,597 ($84,597 from Technology Fee funds and $5,000 from UCF Libraries), securing unlimited, simultaneous access and perpetual rights to all content. The offered price represents a substantial discount (over 20%) off the list price of $115,282. This is an outstanding offer that is made possible because of the package purchase. These discounts are not available with the purchase of individual databases.